On Streets Of New York, The Penitent Pause For A Portrait Photographer Greg Miller has been documenting Ash Wednesday for two decades. Now those strangers he stopped on the street are part of his upcoming book, Unto Dust. 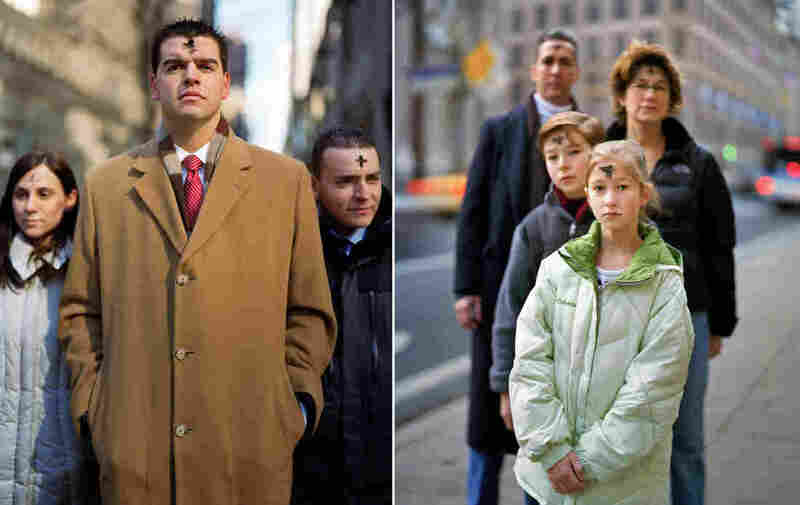 For many of us, the smudge on people's foreheads signifies the first day of Lent. 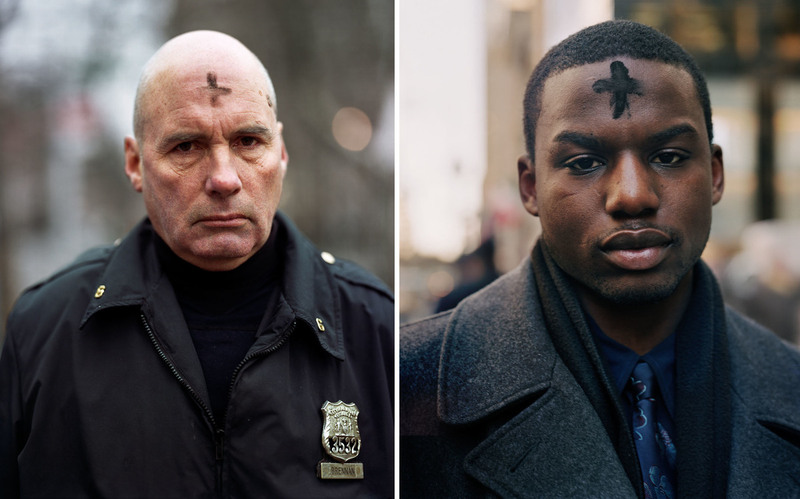 Photographer Greg Miller has been documenting this ritual on the streets of New York City for the past 20 years. 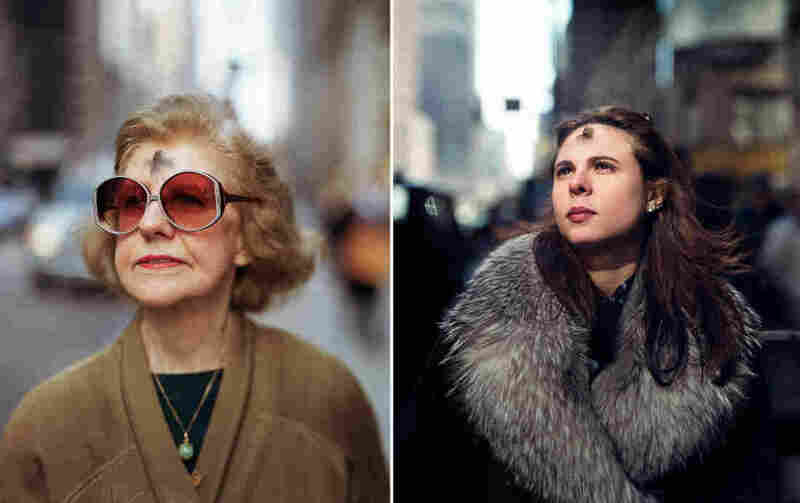 His upcoming book, Unto Dust, features 40 portraits from his decades of work. Here is what he told us about the project. I've always been a street photographer. It just so happened that I was out photographing on Ash Wednesday in 1997. Out of only maybe six sheets of film, I had two really good pictures that day, which are amazing odds and it felt lucky. After the second year of doing it (when I photographed the police officer) I realized I had something. Because it's only one day of shooting a year, it never makes me feel like it is enough, I feel compelled to do it again and again each year. It's like an addiction. 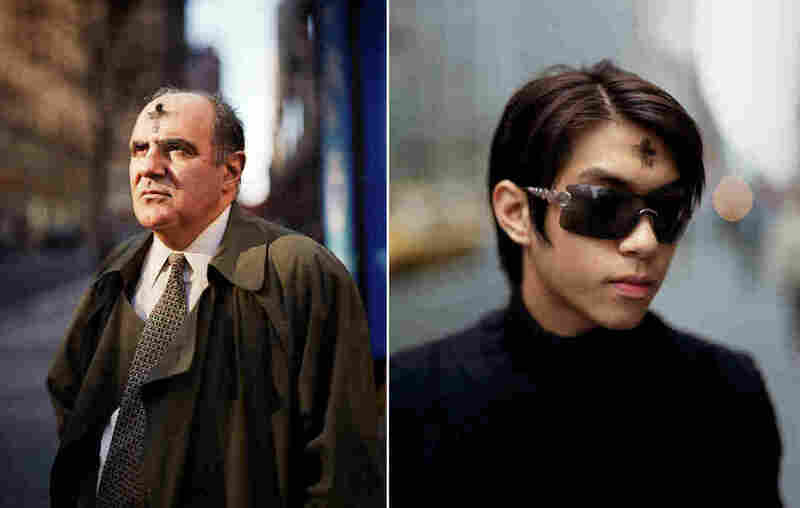 Is there one Ash Wednesday that stood out more than the rest? The second year seems to stick out because that's when I realized I had to keep doing this. In the more recent years (since 2014) it's felt good for other reasons. As the project has gained popularity, people want to come out to either help me or be photographed by me. I have assembled a regular team and they give me energy that helps me keep going on the marathon day. In this way, Unto Dust has taken on a life of its own. I feel compelled to show up and keep going. It's like I work for my past pictures. Especially early on I was surprised that people were willing to be photographed. 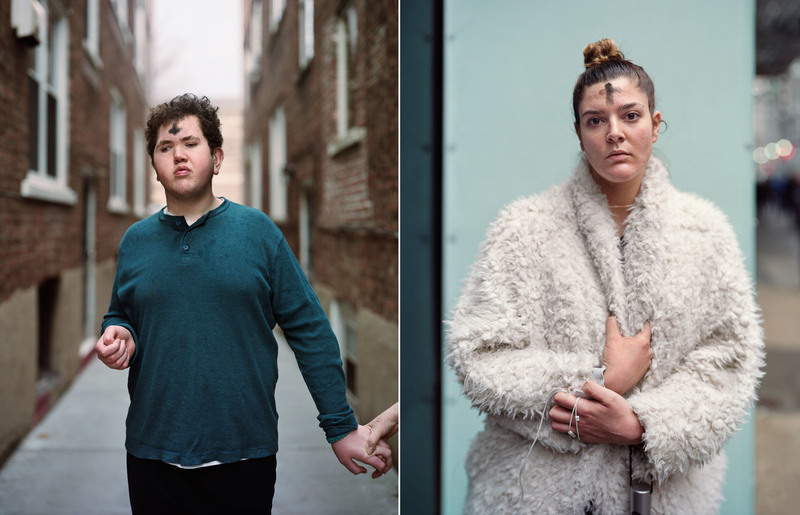 Even though I am used to photographing strangers, I felt a little apprehensive about asking them to stop and be photographed because the ritual seemed so deeply personal and private to me. ... But then, most just said, "Sure." In fact, they were upbeat. 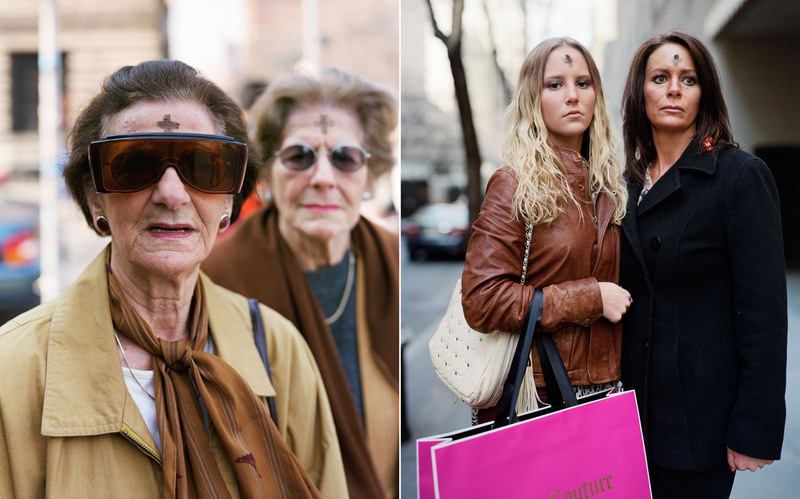 There's a difference between what the ashes look like to someone else and the way people feel about having them. 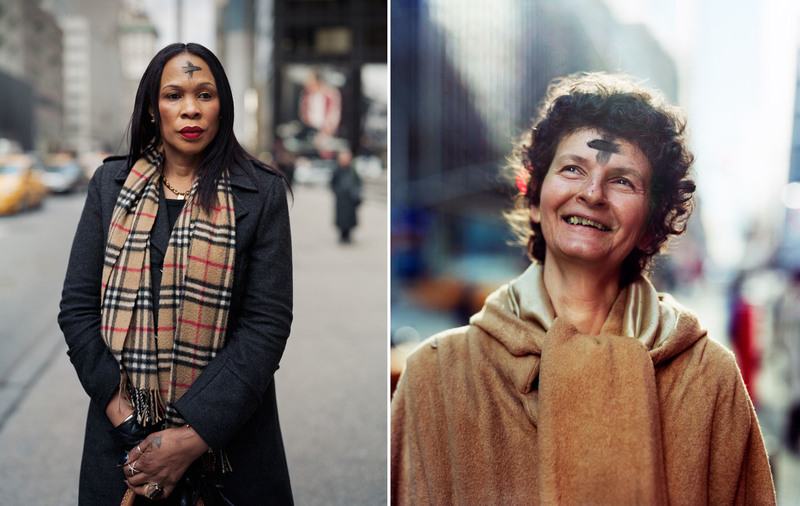 Out on the street, after having been to church, they are still wearing this mark of repentance, which looks striking perhaps to others, but actually they are feeling the relief of that and going back about their lives. 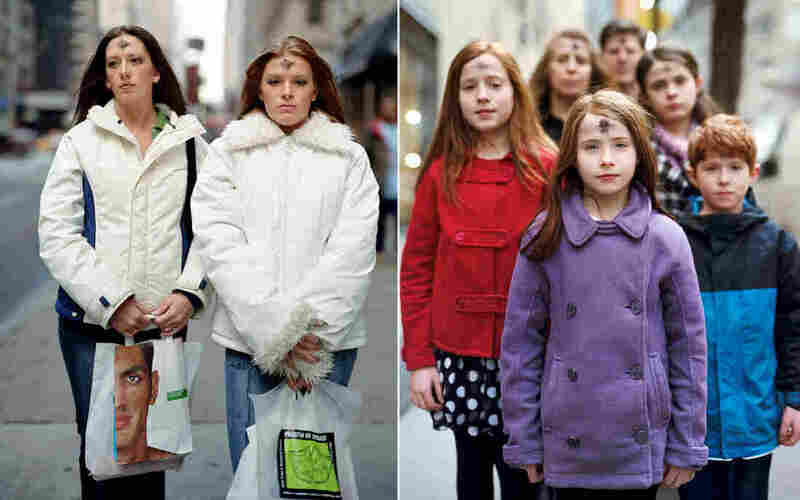 It's just a part of their day to them, but visually it seemed so out of time and place to me. I have a few, but probably the one that resonates the most for me is the one of a woman looking up toward the sky smiling. That is Ilona, a sister. When I met her, she was walking west away from St. Patrick's Cathedral. I asked her, "Can you look past the camera?" Without missing a beat and without an ounce of irony, she said, "OK, I'll look at the Lord." At that moment, the sun came out and reflected off the windows of the different buildings. It was like Hollywood. Of all the people I have photographed, and I am not questioning anyone's faith, but it seemed, at least in the picture, that she really saw God. It was really mystical. Then there's the police officer. He told me he wasn't supposed to be photographed on the job, but sometimes people's pride gets the better of them. His is one of the most honest faces I've ever photographed. He's wearing the uniform, he's a regular guy, yet he's a complete mystery. I've learned something about time. I feel like a time traveler, setting up this parameter every year and doing it. And when I look back at all the pictures, time compresses. The project makes it look like I knew what I was doing from the start. The truth is that all I did was show up every year. Also, this project confirmed for me that you can't tell who a person is by what they look like. I know that the portrait makes you feel something and, yes, you do know something about the picture , but you don't know the person at all. The most beautiful thing about it to me is that even as far as the photograph can go, it doesn't tell you everything. I always have several ongoing projects. The most current is Morning Bus, photographs of children waiting for the school bus in and around where I live now in northeastern Connecticut. The project started developing after the Newtown shooting, which made me feel, intensely, the vulnerability of all of us, children and my own child included. I had seen kids waiting at the end of their driveways in the early hours lit by passing car lights — they were there, but I didn't see them. It all took on a new urgency after that.